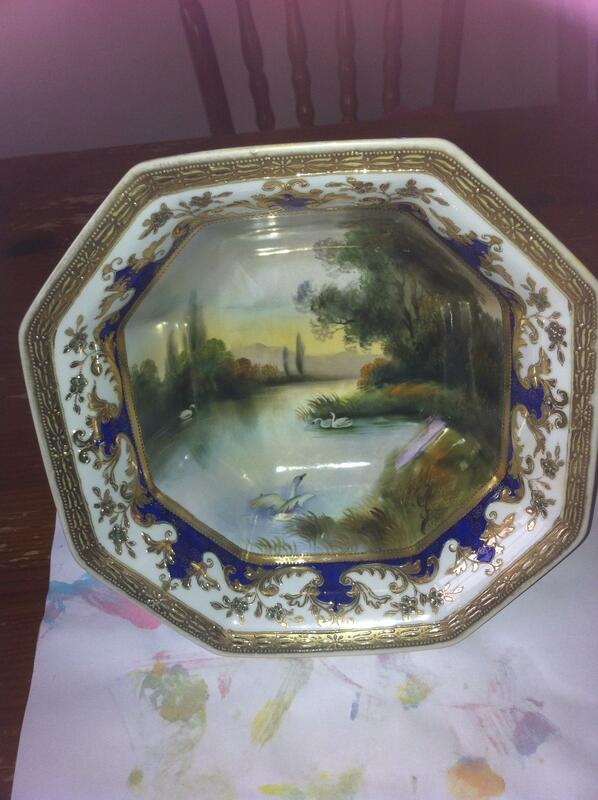 The bowl is hand painted with a four swans on a lake scene. 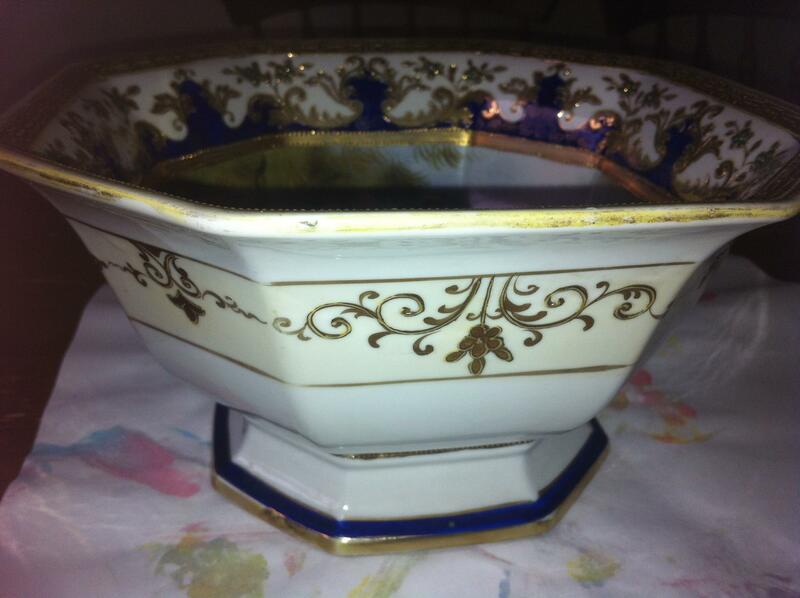 It is octagonal at rim and pedest and gilded. Also enamelled in colbalt blue and emerald and no chips or scratches. 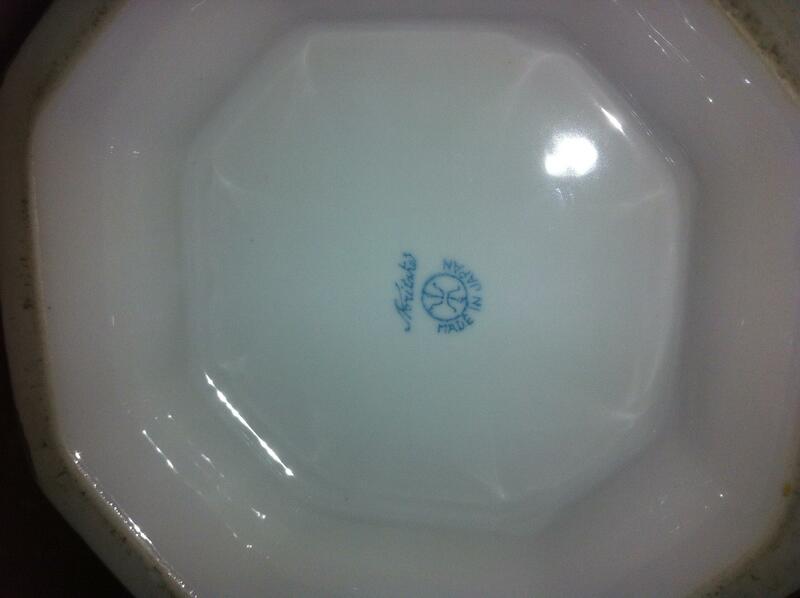 The back stamp is the Maruki symbol with Noritake above it and Made in Japan below. There is no pattern mark. It is eight inches across at top and four and a half at base. Depth is also four and a half to five inches. i cannot fi d one like it anywhere on the Internet. All help appreciated. How old is it and what is the value? Eight inches across and four and half inches tall.